A quick search on Pinterest for color swatches reveals a wide array of gorgeous color combinations that are taken from beautiful photographs. Many of these swatches come from sites like Design Seeds and In Color Balance, but did you know you can just as easily create these types of swatches yourself? 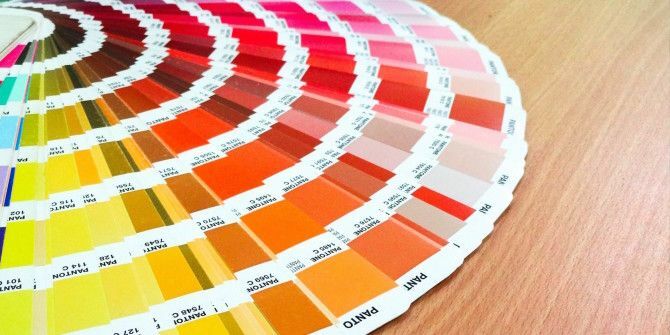 Whether you’re looking for a color scheme for an interior design swatch, for web or graphic design, or for your crafts, with just one photograph, you can generate the perfect color swatch. Using this photo by Kosala Bandara, you can see the kind of color scheme each site will generate. If you want to be able to tweak the color scheme Adobe Color CC is the perfect choice. Click the Create button in the top menu, and click the camera icon. You can upload your image, and the site will generate a five color scheme. You can make slight adjustments to the scheme either by selecting a different color mood or by dragging the little circles on the photo to select the source of the color. If you’re looking for more than the basic five color scheme, Color Palette FX offers up a staggering eighteen colors. If you don’t want to download the photo to your computer, CSS Drive is a great choice. You can use an URL to a JPG file to generate three different color schemes – light, medium, and dark. The site also offers up the full color palette generated from the picture. You can also save your scheme as a Photoshop swatch file or as a CSS stylesheet. Where do you go to generate color schemes? Let us know in the comments. Explore more about: Color Schemes, Digital Art, Web Design. The 5 Best Free Tools to Make Infographics OnlineWhat Can You Actually Do With Adobe Photoshop?